Are you excited to make more money from your youtube channel with paid youtube sponsorship? If you want to get good demand for your youtube channel along with increasing revenue. Then I will show you how this happens. If you want to promote your channel very fast you need to get good deals from the branded advertising companies. For your easy convenience to promote your channel and tie up with top brands a new influencer marketing platform had emerged i.e Viralbao. You can monetize your channel with youtube sponsorship with the brands. 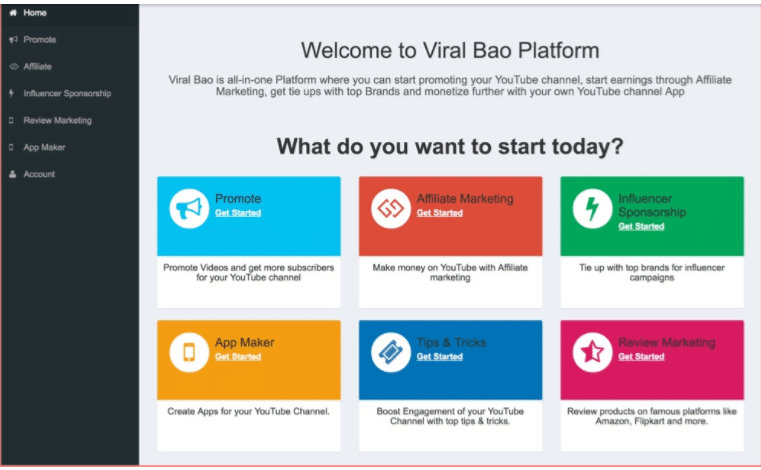 ViralBao is the all in one platform which promotes your youtube channel, earn through affiliate marketing, tie up with top brands and monetize with your own app maker. This viralbao helps you to reach your youtube channel to great heights. You can easily promote your channel and can also view the stats, views and users. You can get the youtube sponsorship and marketing tie-ups with the top brands with the affiliate marketing techniques. The app maker helps to create free apps for your youtube channel and start increasing revenue. You can get the expert monetization information to boost the channel. Now let’s get through how this viralbao influencer marketing platform works. You need to sign in by giving the email id and the youtube channel name, you will be shown the youtube channel lists where you need to select yours. 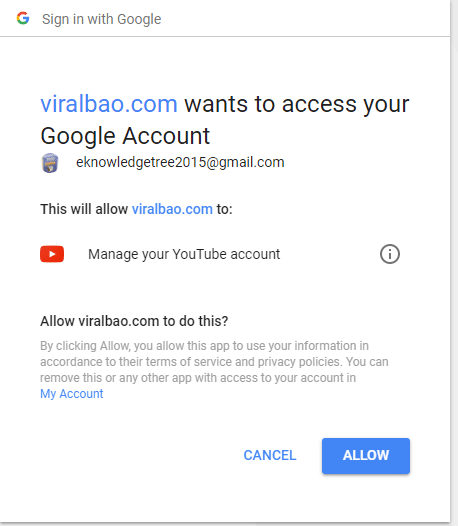 After signing it you will be shown a page to give the viralbao access to your youtube channel. An email link will be sent and upon activation of the link, you will be taken to the page as shown below. You can see different features of the viralbao and its functions. 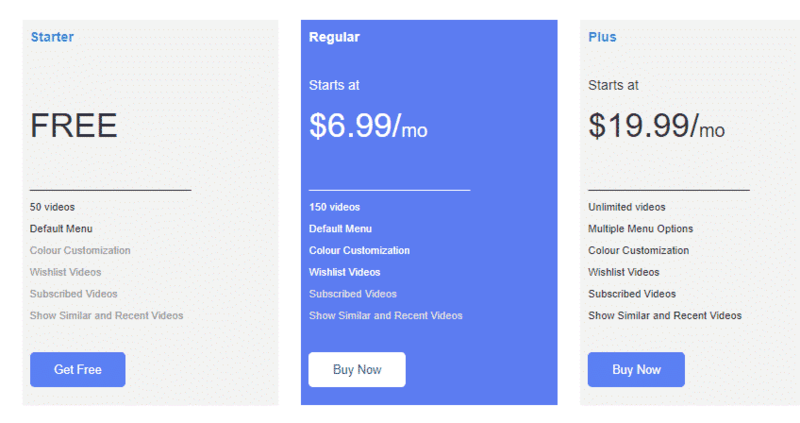 Each and every feature had its own importance and need to be used very wisely in getting good deals on the youtube sponsorship. You can start your earnings with the promotion technique, affiliate marketings, youtube sponsorship, tricks and tips, review marketing and app maker. Now let’s go in depth about each and every feature. The youtube app maker is widely used for making apps for the ios and Android devices. The app creator is not free. It’s the paid version. Your app for the youtube channel will help you to generate a passive income. You need to give the app info such as app name, channel name and select the app icon with designs, graphics and layouts as well. This influencer marketing platform helps you to convert your youtube videos into an app where it can be controlled very easily. This youtube sponsorship application is very beneficial to earn extra money from youtube. You can convert your videos into apps for better exposure on the android and ios platforms.In order to viral your videos you need to enter your channel name, create and publish your apps on the app stores. 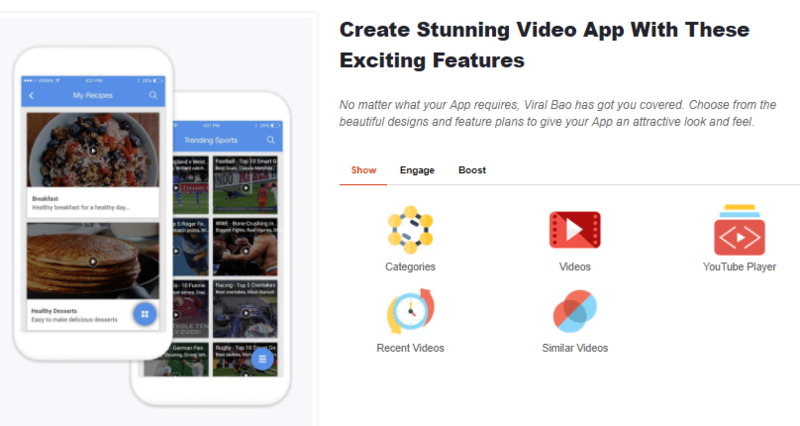 The best part with the viralbao is that you need to worry about app design as it provides the beautiful designs and feature plans to give an attractive look for the app. Its very hard to get promote in spite of how great is the content. Sharing the content on the social media like facebook delivers result to some extent but not to complete. To get 100% monetizing of your channel you need a good marketplace for your content to be exposed. Social media promotion with the viralbao helps to get more followers and its the one stop solution to earn high. The viralbao helps for free promotions with the internal community network. As a whole it’s the best ideal platform where you can get the attention of the biggest advertising networks for promoting your channel ads, affiliate programs.The viralbao team provides a good support. The viralbao provides the best affiliates for the youtube channel to get massive income growth. It drives you to the branded networks only. The brands help you to earn with the simple copy and paste code. When the user clicks on the link you can get a few cents. You can just discover the highest paying brands for your channel by simple sign up. 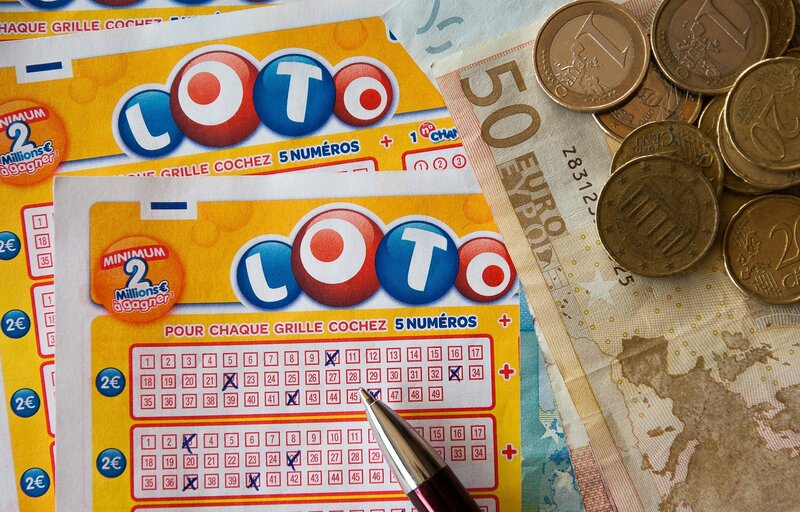 By creating a simple link to our product you can earn. You need to just join the affiliate program, promote, track and earn from the affiliate links. you can make more out of the influencer sponsorship on the viralbao with the top brand networks. Only put the top brand products and influence the audience online to buy them. With the influencer sponsorship, you can boost your earnings. It’s the place where brand sand the creators interact and make a sustainable relationship for better income. For top-notch revenue, you need to maintain influencer sponsorship with top brands only. You can grow or expand your social media accounts visibility to 100% with the viralbao. It provides the best solutions to gain more revenue as well to make popular your youtube channel, users, views, subscribers and virality of your channel.To make popular your channel you can take expert advice, follow the tips and tricks suggested by them for viral of your channel. Viralbao comes up with the best class services to make your youtube channel top. The app maker platform to promote your channel on a viral go, to increase the subscribers, views, and users.This system is designed with efficient tools and features so as to make your channel widespread on this internet.The youtube sponsorship for the tops brands to get best returns. So I Strongly recommend the youtube channel guys to use this viralbao for making a good revenue out of this influencer marketing platform.